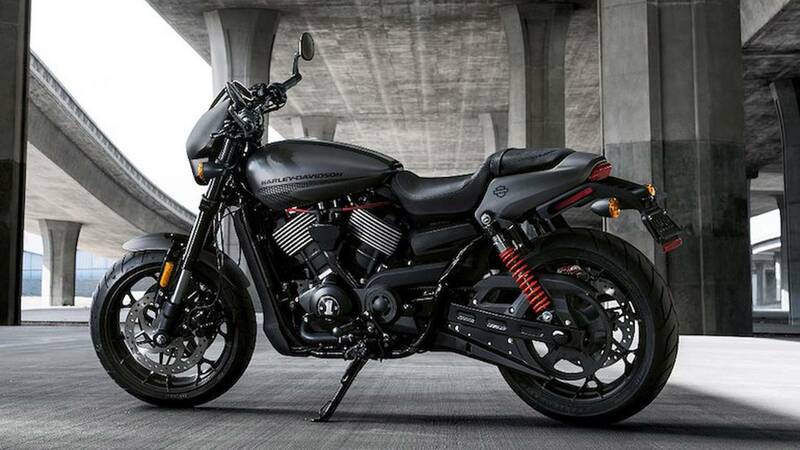 Harley-Davidson Introduces New Model – And it's Not a Cruiser! 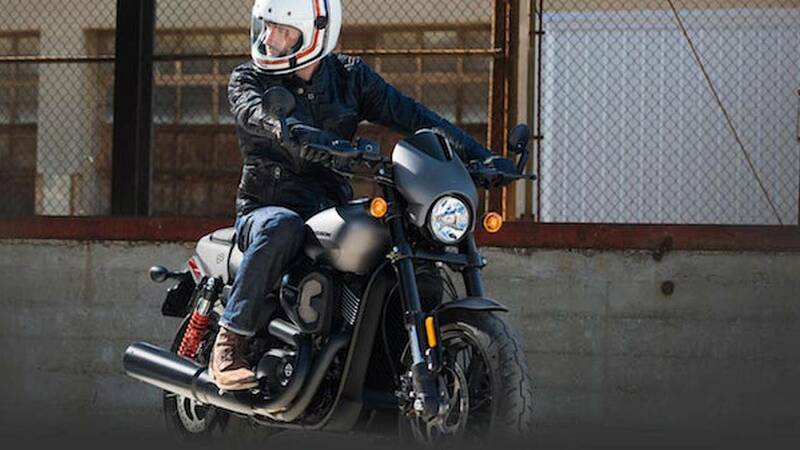 Harley-Davidson has thrown down the gauntlet for American motorcycling by introducing the all-new, not-a-cruiser Street Rod. 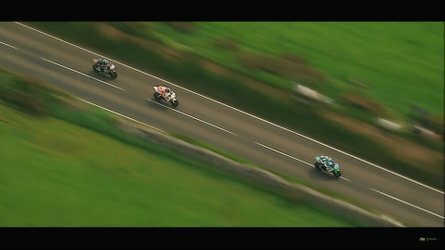 Harley-Davidson has pulled the cover off a new motorcycle that is set to take American motorcycling in a new direction. With standard footpegs (Harley optimistically refers to them as rear-set) and a 27-degree fork rake, it is decidedly not a cruiser. 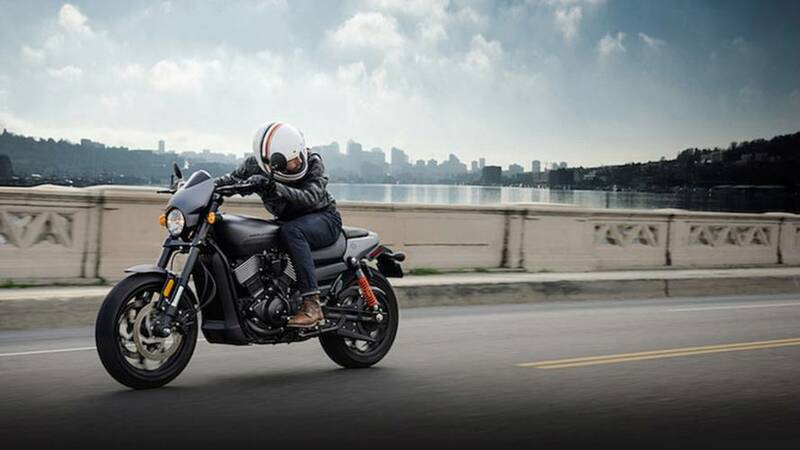 Powered by the same 750cc liquid-cooled V-twin found in the existing Street 750, the new Street Rod is clearly aimed at responding to riders' decades-old calls for an American standard. Although Harley-Davidson says the Street Rod's targeted environment is urban, it suggests there's even more than meets the eye in terms of performance and handling. 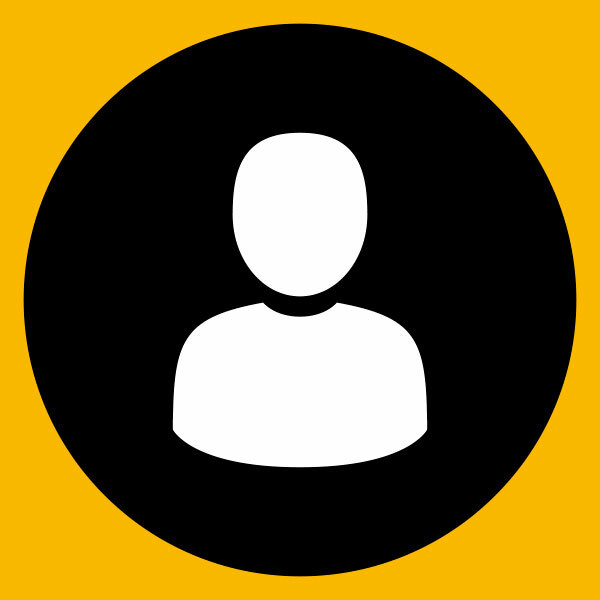 “It gets your attention. And we wanted a chassis to match, sharp handling and aggressive, perfect for urban cut-and-thrust and canyon carving," said Harley-Davidson Chief Engineer Mathew Weber. 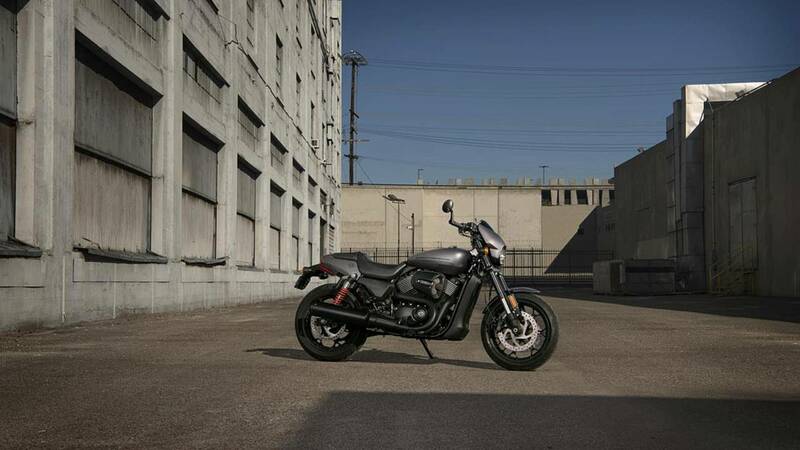 To that end, the Street Rod reportedly offers 8-10 percent more torque (depending on market) through the mid-range than on the Street 750, and 18-20 percent more horsepower. No official figures have been offered, but based on Street 750 dyno figures and our own fuzzy math, that suggests the Street Rod will deliver roughly 68 hp at peak (8750 rpm) and 47 lb-ft of torque at 4000 rpm. Pretty decent numbers that – on paper – put it on par with the new Kawasaki Z650. “The Street Rod’s new High Output Revolution X 750 has got hot cams, gas-flowed heads, more compression and a higher redline,” said Weber. If the name doesn't give it away already, the Street Rod's styling clearly echoes that of the somewhat maligned V-Rod. Blacked-out forks and triple clamps, a speed screen, and dual front discs (!) 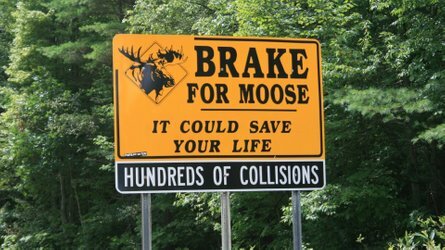 give the front end a robust feel. The rear is accented with a new tail section, with perforated rear mudguard, and LED taillight and indicators. 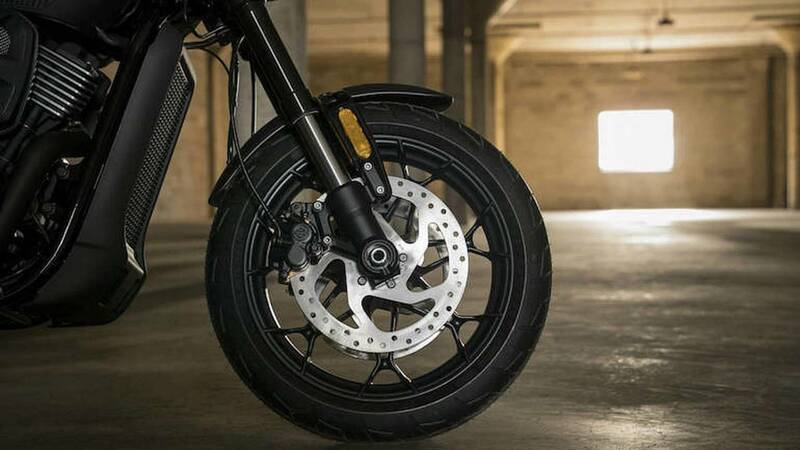 The presence of 17-inch wheels suggests riders will be able to find good rubber. 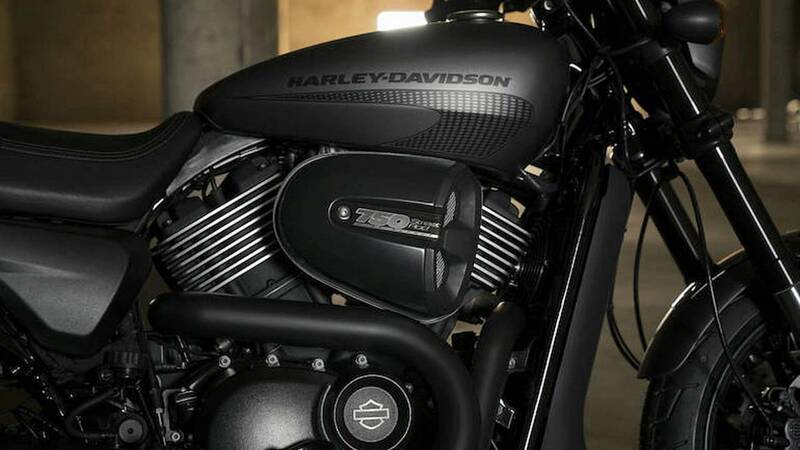 "The Street Rod also features a larger volume air box and new dual 42mm throttle bodies, new four-valve cylinder heads and high-lift camshafts, plus a higher-volume exhaust muffler – all designed to increase airflow and efficiency," according to a Harley-Davidson media release. "Compression ratio is raised from 11.0:1 to 12.0:1 and the redline goes from 8000 to 9000 rpm." The biggest story of the Street Rod, though, comes in its chassis. “Tires, wheels, suspension and frame geometry are engineered to work together and deliver handling that’s light and precise at all speeds,” said Weber. 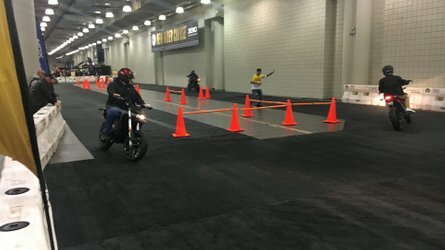 The 27-degree fork rake (as opposed to 32 degrees on the Street 750) will allow for more agile steering, and Harley says lean angle has been increased quite a bit, to 37.3 degrees on the left and 40.2 degrees on the right (compared with 28.5 on both sides for the Street 750). Seat height has been raised to 765 mm (30.1 inches) and the pegs place a rider's foot just a little behind the knee. 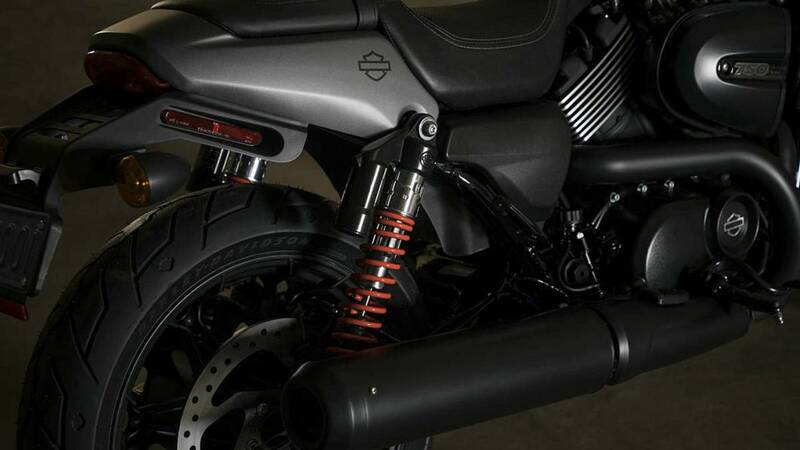 Harley-Davidson describes the pegs as rear-set, but we'd say they offer a more comfortable "standard" riding position. The front end features rigid 43mm USD forks gripped by lightweight aluminium yokes. New rear shock absorbers feature an external reservoir to increase fluid capacity and maintain damping consistency; travel has been increased 31 percent to a respectable 117 mm (4.6 inches). The swingarm is slightly longer to accommodate the taller shocks, which will aid in handling. Flat, drag-style handlebars create an aggressive riding position, according to Harley. Again, looking at photos of riders on the bike we'd say it's more a standard riding stance, but it's easy to forgive Harley for its use of hyperbole here. The word "standard" doesn't tend to elicit excitement in people. And from everything we see, the Street Rod appears to be a bike worth getting excited about. 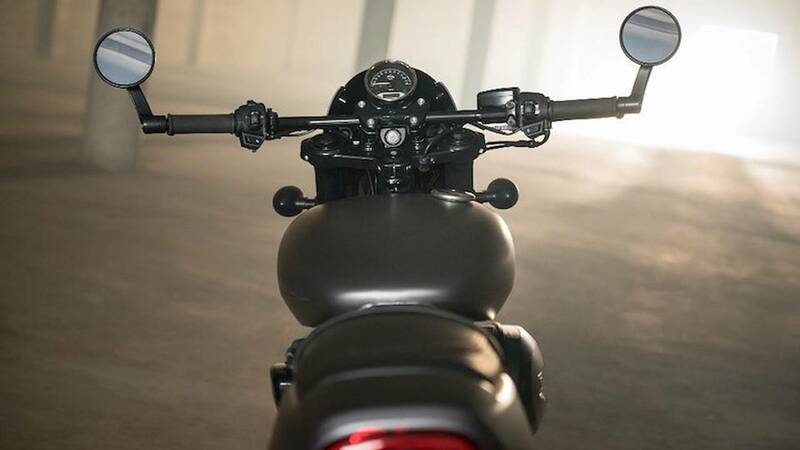 Meanwhile, bar-end rear-view mirrors can be mounted above or below the grips, and feature a patent-pending design that allows them to fold back without interfering with the rider’s hands. Sounds like that means they'll be useful for folks wanting to use the Street Rod to filter (i.e., lane split) through traffic. 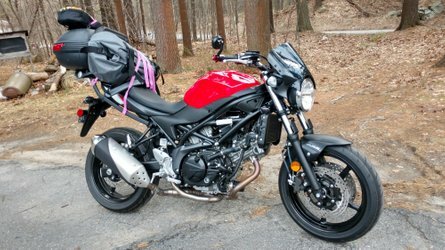 The Street Rod wears Michelin Scorcher 21 radial tires out of the box, but we've had a quick check of its rim sizes –120/70 R17V front and 160/60 R17V rear – and it appears the bike would accommodate a quality sport-touring tire like the Dunlop Roadsmart III. Lastly, with increased go comes increased whoa. The Street Rod is equipped with TWO 300mm discs up front and a single disc at the rear. ABS is standard on European models and is available as a $750 option in the United States. 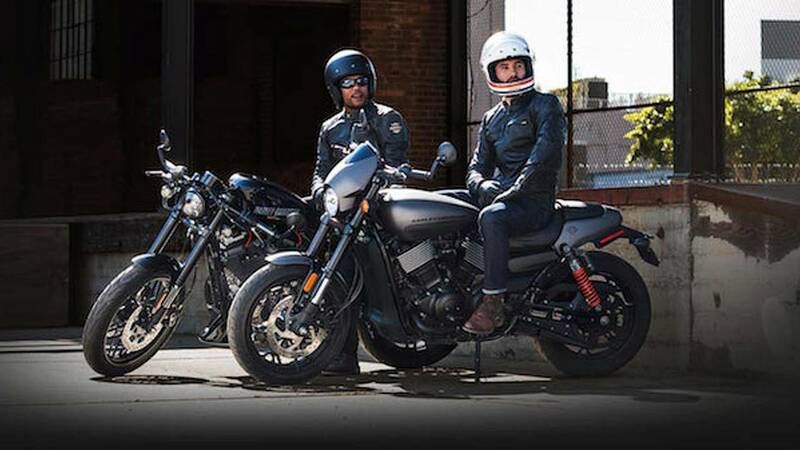 The Street Rod is available in Vivid Black, Charcoal Denim, or Olive Gold, with a US starting price of $8,699 (£6,745 in the UK). We'll be getting our first chance to ride the Street Rod next week. To put it mildly: we can't wait.